Following my prior post Imagine Cup 2011 US Finalists: Serious Games To Change The World, Microsoft Corp. announced yesterday the winners of the ninth annual Microsoft Imagine Cup, the world’s premier student technology competition, honoring student innovations that address global problems such as improving road and fire safety, eradicating poverty, and creating a more sustainable environment. The company also unveiled plans to launch a three-year, $3 million competitive grant program to help recipients realize their vision of solving the world’s toughest problems. The Imagine Cup 2011 competition winners were announced at the Imagine Cup World Festival and Awards Ceremony at the David H. Koch Theater at Lincoln Center in New York. Narrowed from more than 350,000 global registrants, more than 400 students from 70 countries traveled to New York to compete at the Worldwide Finals. 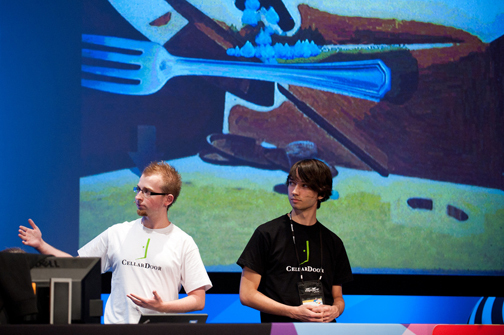 All Imagine Cup competitors created projects that address the Imagine Cup theme: “Imagine a world where technology helps solve the toughest problems.” Imagine Cup 2011 consisted of five competition categories: Software Design, Game Design, Embedded Development, Digital Media and Windows Phone 7. In addition, participants might also compete in four challenges: Orchard, IT, Interoperability and Windows 7 Touch Challenge. 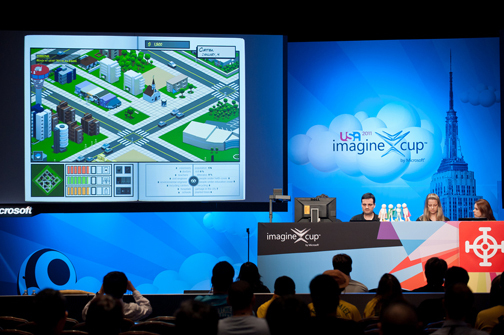 In the Game Design category, there were three subcategories in which teams competed; all winners focused on some element of environmental sustainability and each winner earned $25,000 (U.S.). In Game Design — Mobile, Team Geekologic (France) for Brainergy - a puzzle game based on using alternative energy sources to power cities. In Game Design — Web, Team Cellardoor (Poland) for The Book of Elm - an interactive story book which encourages children to participate in saving the environment by taking simple actions. And in Game Design — Windows/Xbox, Signum Games (Brazil) for Ucan - solved urban problems including health, education and the environment through a strategy game.